These two manicures use the bright colors of summer. I liked the bright pink, blue, yellow and green colors. I was able to wear both manicures while doing daily errands and at my full time job. Both manicures took minutes to do. I used a white base color because white really makes the other color look bright and vibrant. The first one is a no tools rainbow manicure and the second is a dotted rainbow. - Start by applying a base coat to the nails. - Once white polish is dry, apply a nail polish color to one side of the nail. 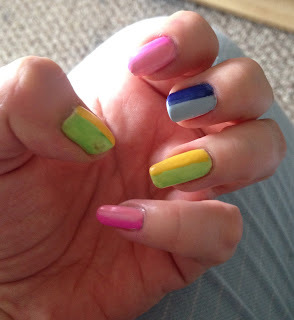 Apply a different color to the other side of the nail - I used green with yellow, light and dark pink, light and dark blue. - Seal it with a fast drying top coat - I decided to use a matte top coat. 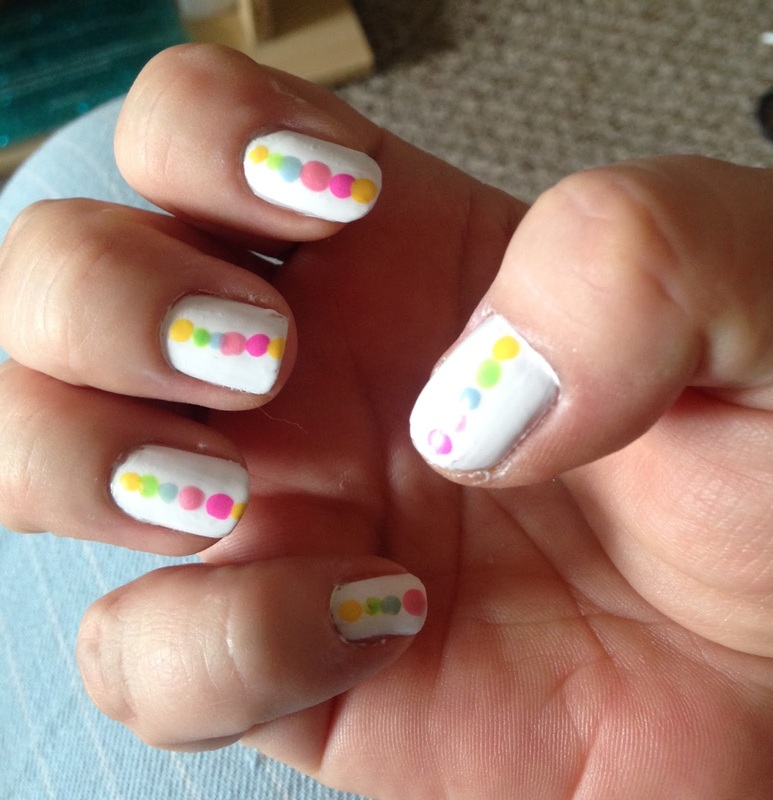 - Apply a white nail polish, once dry use a dotting tool dipped in a color and place a dot in the center of the nail. - Wait a few minutes to avoid smudging and apply your favorite top coat. Two bright and fun summer manicures! !